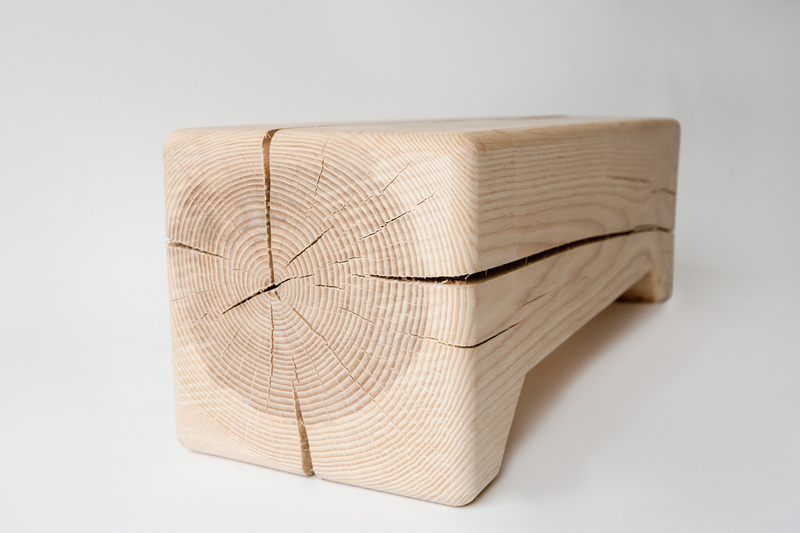 The Trunk is constructed from a solid block of green wood. Simple, contemporary form has been applied to a natural material that will break the form as it ages, making each piece unique. 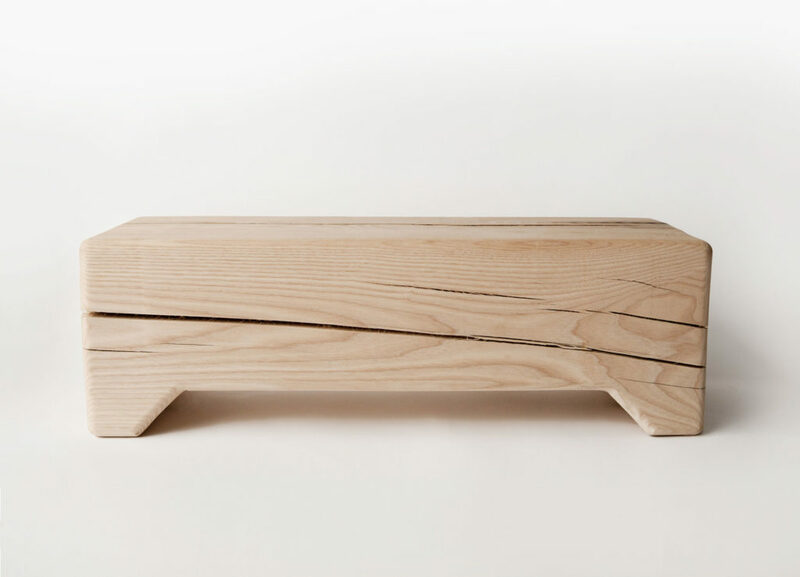 Cut from a solid block of freshly cut domestic ash or maple, the surface splits as it ages and dries, giving each piece a unique look. Ring and heartwood details have been preserved and featured on the seat. 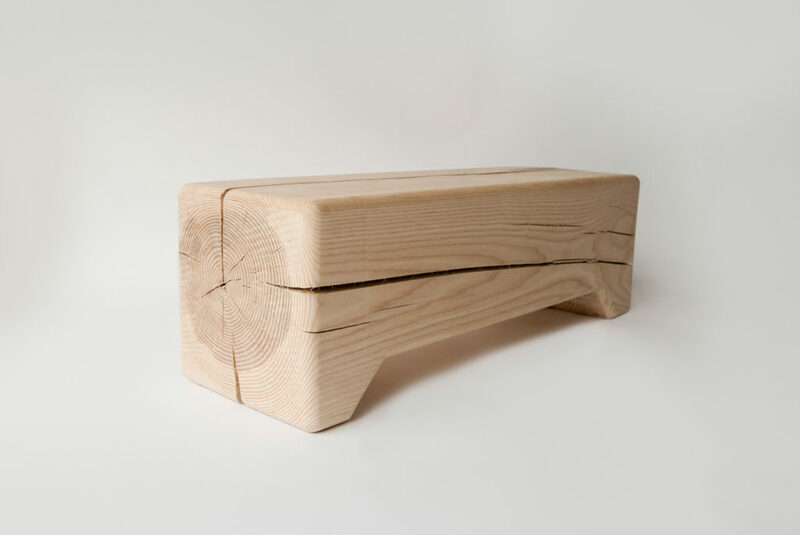 Like much of Kalon Studios’ work, Stump explores the playful relationship between the inherent variations of natural materials and the precision of contemporary form. No finish has been applied to best allow the piece to develop a natural patina as it ages. These materials were thoughtfully selected to offer a piece with no toxins and no off-gassing, for the environment, the craftspeople and you. • Available in American Ash or Maple Green Wood. • Green Wood: Wood that has been recently cut and therefor has not had an opportunity to season by evaporation of the internal moisture. • ‘Green’ Wood pieces will warp and split as they age. This is an intended part of the design.